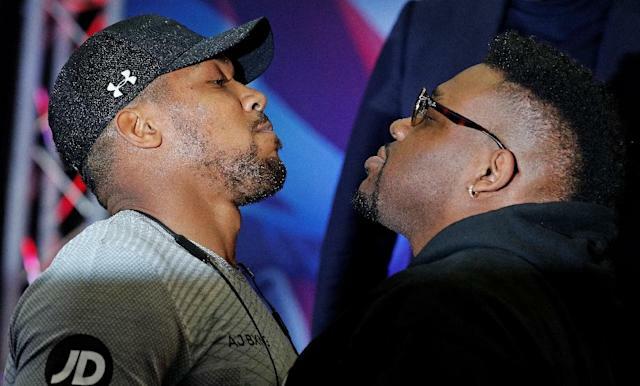 London (AFP) - Jarrell Miller could miss out on a shot at Anthony Joshua's world heavyweight titles after the American produced an "adverse finding" in a drug-testing sample. "We have been informed by VADA that there has been an adverse finding in Jarrell Miller's sample collected on March 20th, 2019," Eddie Hearn, Joshua's promoter, tweeted. "We are in the process of obtaining further information about VADA's finding and will have more to say soon on this developing situation," Miller's camp, Salita Promotions, said in a statement via Twitter. "In the meantime Jarrell continues to train for his June 1 fight against Anthony Joshua." Joshua, during the London leg of the tour, said: "I am on (drug testing scheme) ADAMS whereabouts, they have to know where I am for an hour every day and could walk in anytime. "They can turn up any time during the day and that is a lifetime commitment. I have been on that since 2012 and I pay £40,000-a-fight to be tested by VADA two times a week."